With any kind of industrial process, machines come and go and get replaced with time. 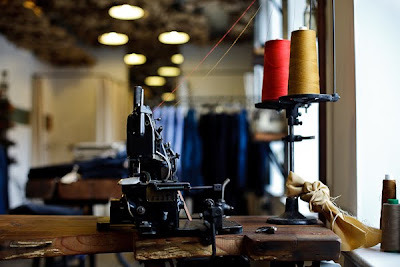 The Denim Production process has quite an interesting history, as for the last 30 years not only have the way we produce denim been modernised, from lovely Shuttle looms to modern counterparts, but also the way we make jeans from older sewing machines and the transition to modern industrials sewing machines. There are so many little touches which have been lost when we modernise. 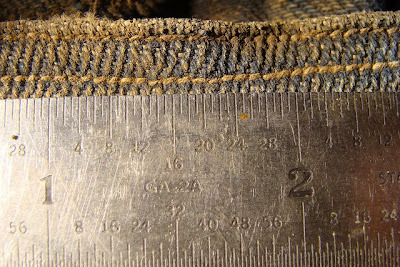 When i look at old vintage denim styles, one thing for me stands out, Wow that stitch is amazing ! 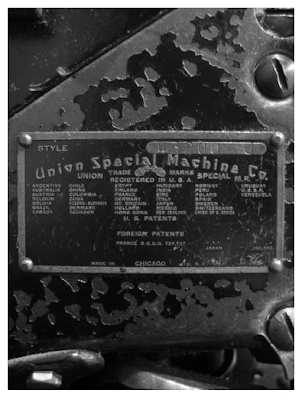 Researching and learning which machines created the styles has become just as important for me as the fabric its made on. You got to understand the past to move forward. Its one thing to use to get Antique looking denim, made on old drapers looms, but a whole other thing using vintage machines to make them… I have been slowly buying up / and finding out what machines I need for my studio, and nothing seems to get me excited like a "Union Special" Sewing machines… Simple things like button holes, bar tacks, overlocking stitches, roping effects /skewing or buckering on hems of jeans, irregular tiny stitches are all super amazing and fresh today. 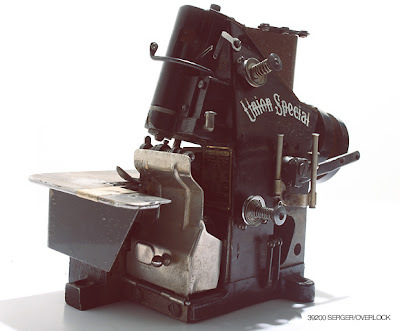 Most Brands Like LVC / John Bull / Kapital and 45rpm are only using these types of machines to make there collections on, its easy to see why. 1st is the Union Special 43200G. This is particular model was used for chainstitch construction. 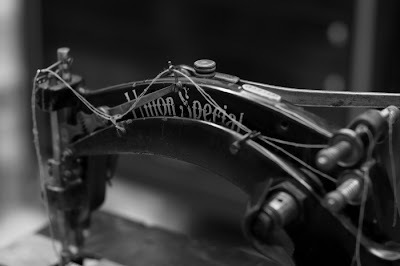 These vintage machines are still some of the strongest machines out there and highly sought after worldwide. 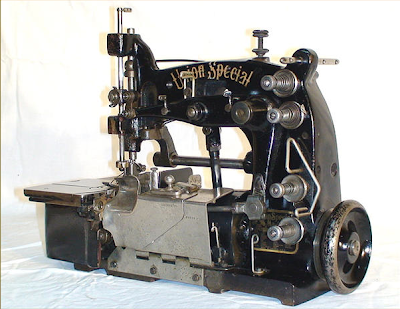 This particular model can go from anything from 5000GBP to 10,000GBP, only because of its unique pushing and pulling style of sewing, it is indispensable. 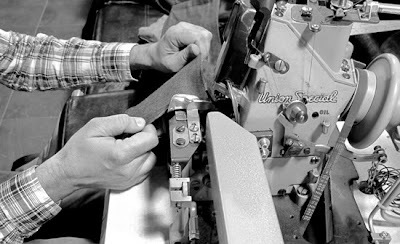 This "push" and "pull" creates directional pressure and is used to sew areas along the waistband, hem, and other parts of the denim. Along the hem, the directional pressure will create a roping effect, and it is this "roping" makes the machine so special. 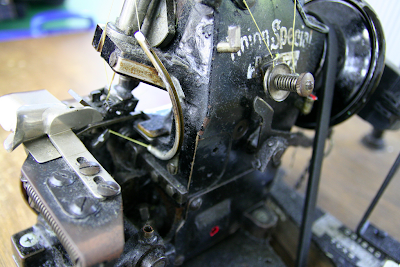 Top Image: push and pull "Roping" effect made on a Union Special 43200G vs regular chain stitch under. 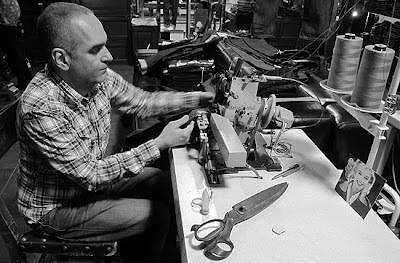 picture credit: Balwin Denim ( This machine ive just acquired). Above is a video of Mike Hodis of Rising Sun, another amazing person, keeping it super real. 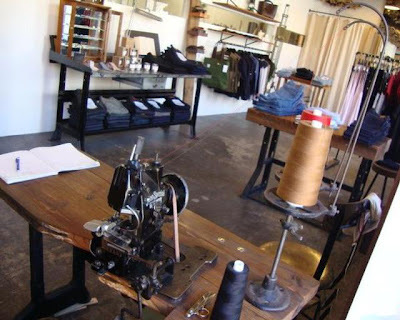 Below is a video about Raleigh Denim, they are also a new breed of denim designers, who are making there denim the old fashioned way... Look out for Living Legend, and friend RALPH THARPE, I was lucky to work with him in 2005. Hi Mohsin, the picture with the plate is taken from my favourite shop www.dc4.de. It would be nice to add him on the link list. 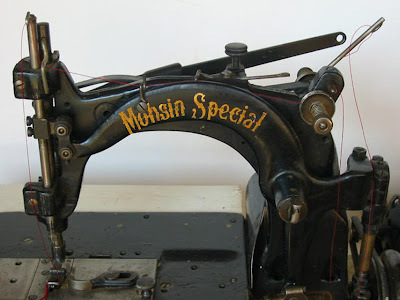 Hello who is the first machine"Mohsin Special"? what is the use? no problem!...wonderful Union Special edition "Mohsin",could you answer also to my question in other post "Union Special 39200AE... Sussed !!!". Your answers are very precious,bye and thanks!!! Hello, have you figured out how to date these machines? I have a 39200FZ that I'm trying to figure out the age of. L.C. 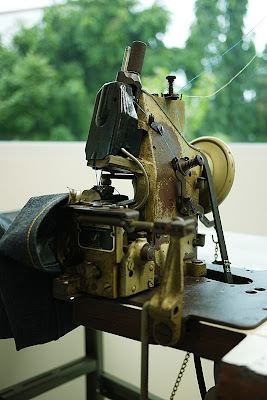 Manufacturing in Bristol Tennessee just acquired a 43200G and will begin it's new brand L. C. King sewn in it's 100 year old blue jean factory.